Service - ZOZO Technologies, Inc.
ZOZO Technologies will be in charge of the technology, design and analytics of the production work in general for the ZOZO Group, in addition to the developments and operations of ZOZOTOWN and WEAR, including the development of new technology. UNITED ARROWS, BEAMS, JOURNAL STANDARD, nano・universe, SHIPS, URBAN RESEARCH, BEAUTY&YOUTH UNITED ARROWS, green label relaxing, WEGO, SHEL’TTER, A BATHING APE®, FREAK’S STORE, EDIFICE, LOWRYS FARM, AMERICAN RAG CIE, HYSTERIC GLAMOUR, X-girl, NIKE, adidas, CONVERSE, THE NORTH FACE / HELLY HANSEN, IENA, HARE, DIESEL, niko and…, earth music&ecology, STUDIOUS, MARGARET HOWELL, Deuxieme Classe, EMODA, ENFOLD, JILLSTUART, Levi’s, snidel, UNITED TOKYO, marimekko, A.P.C., ZUCCA, STUSSY, 吉田カバン, POLO RALPH LAUREN, UNDERCOVER, MARC JACOBS, COMME des GARCONS POCKET, ALEXANDER WANG, NUMBER (N)INE, MIHARAYASUHIRO, etc. 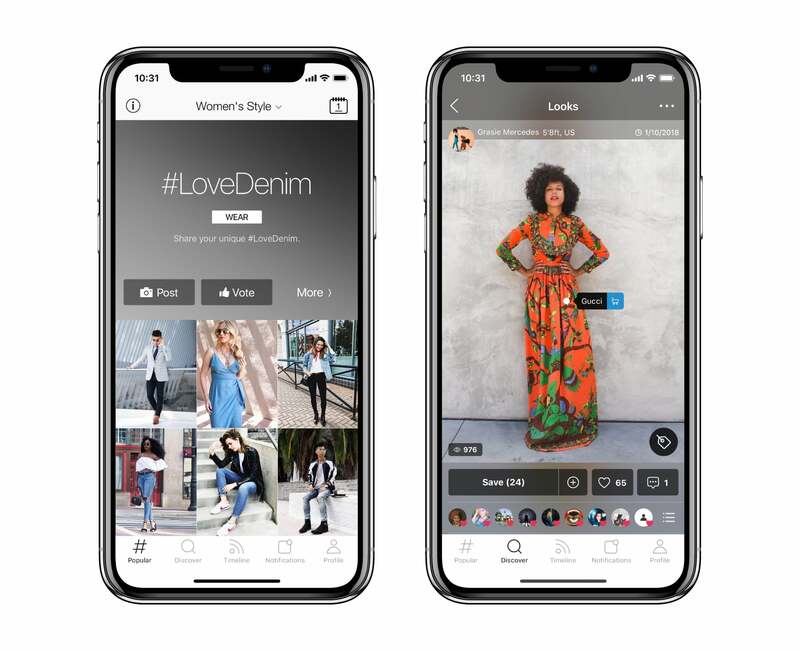 You can download the WEAR app from the link below. “ZOZO” is our private brand, where we create and deliver the perfect fitted “your size” based on the data from the “ZOZOSUIT”, an original body measurement suit developed by ZOZO, Inc.
Casual apparel items such as T-shirts and denim pants applies a custom-fit method, which is a production method where we prepare thousands of patterns for various body sizes in advance. We will deliver the best fit from our pattern database to each customer. Our formal apparel items such as the business suit and dress shirts are “custom-made” from scratch based on each customer’s unique body. 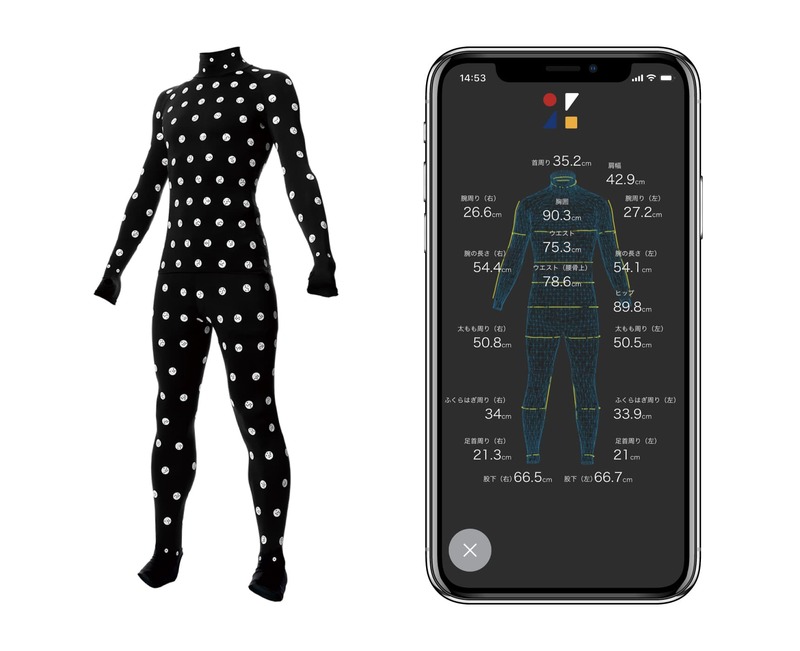 An original body measurement suit developed by ZOZO, Inc.
After measuring yourself with the ZOZOSUIT, a 3D model of your body will be created instantly, and your body measurement data will be saved on your ZOZOTOWN app. 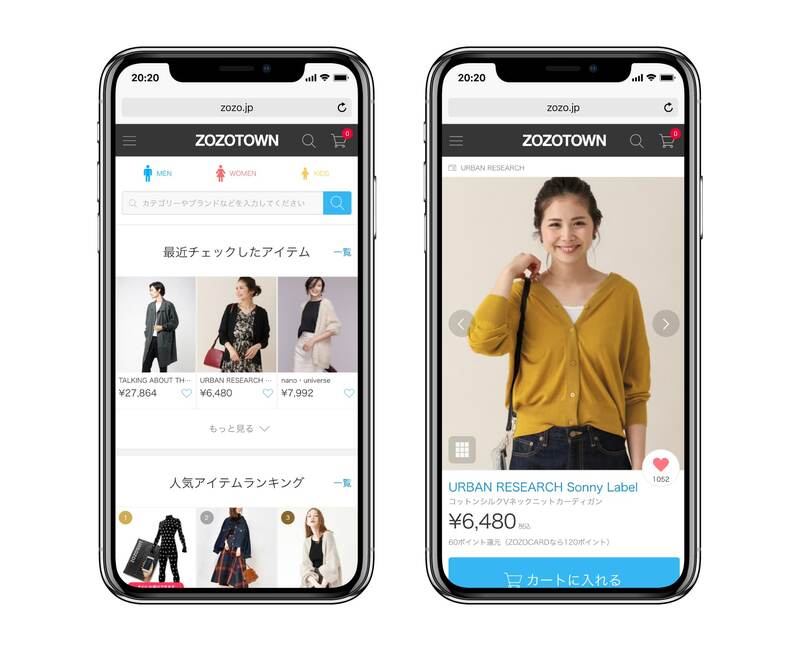 (*For customers outside of Japan, the ZOZO app) The 3D model can be moved at all angles on your smartphone, therefore you can see your body-silhouette from a 360 degree angle. 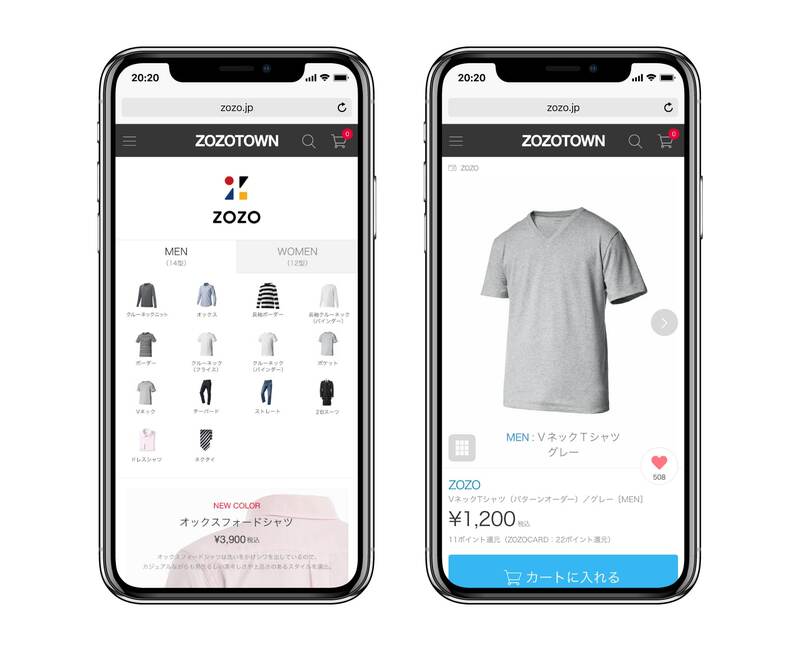 By applying the body measurement data, customers can order clothing from the private label “ZOZO”, sign-up for the “Personal styling subscription service(*1)”, and use the “My size search” function(*2)”.